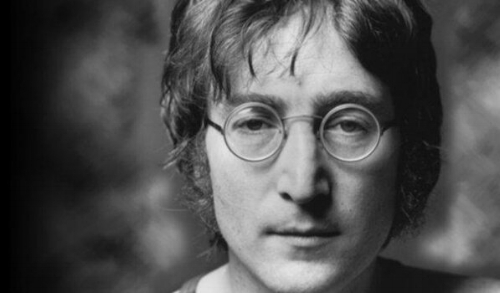 as today, in 1980, the world lost the great John Lennon. Although The Beatles’ Paperback Writer was mostly penned by Paul McCartney; I had to mention Lennon and, as this is my favourite song from The Beatles, this will have to be my tribute! The first time I really experienced the song in all its brief and brilliant glory was when I received The Beatles’ number-ones collection, 1, for Christmas back in 2000. It was a treasured Christmas gift from my sister and I remember rushing into my room, even though I was seventeen at the time, and playing all the songs through. The album is still in my car and I feel, for any huge Beatles fan or new acolytes alike; you cannot go wrong by buying 1. The album is a chronological account of all of The Beatles’ number-ones and Paperback Writer sits between We Can Work It Out and Yellow Submarine – not only a trippy, head-spinning trio of songs but proof the band were as eclectic and broad you can get! One of the things that strikes me about The Beatles’ popularity is the fact we still celebrate a band whose hits, largely, were done with over two or three minutes. Now, so many artists are stretching tracks all over the place and we rarely see the tight and sharp Pop attacks that say so much and leave you wanting more. That is the case with Paperback Writer. 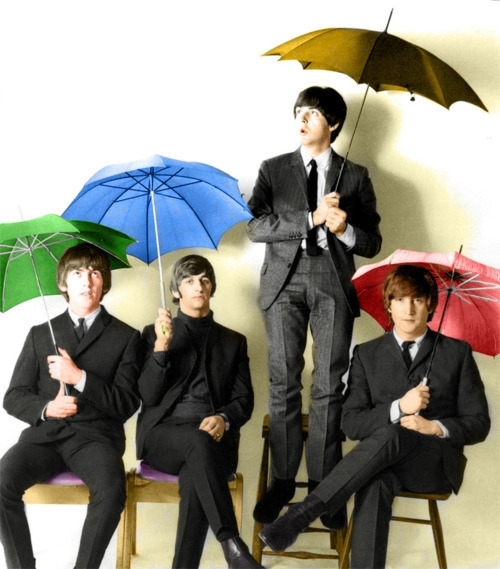 The track was a non-album single released in 1966 – with Rain as its B-side – and was the last new song from the band to be included on their last-ever tour. Rarely do you get artists releasing singles not on albums but, since the start of their career, The Beatles were released between-album songs that kept the pace going. 1966 was the year The Beatles released Revolver and was the start of a period that, to many, was their golden time. Even though their touring days were almost through – due to the noise and sheer rapture from their fans – the band were still coming up with great ideas and, when Paul McCartney had that opening line “Dear Sir or Madame...” it was the start of a remarkable track. Paperback Writer is a little over two minutes and is this intense, thrilling and memorable song that, as it goes, is about an aspiring writer who has written a novel – more or less one-thousand pages – and is keen to get his break. There is no shock the song went to number-one following its release on 30th May, 1966 and, with a B-side as strong as Rain; it was a meteoric and titanic time from the world’s greatest band! I will provide my thoughts on the song and why it resonates but I want to bring in an authoritative Beatles article that takes apart the song and charts its history. “The fourth song they set to record, however, was more quickly recorded and was deemed suitable for a quick release as a single. While it did have many of the usual hallmarks of a hit pop record of the time, such as the catchy melody line and a melodic guitar riff, the lyrical content was very much out in left field for 1966. Instead of romance, the only mention of a relationship was of “a dirtyman” whose “clinging wife doesn’t understand.” Nonetheless, “Paperback Writer” was rushed out as their next single, topping the charts internationally”. “With these ideas implanted in his mind, Paul travelled out to John’s Kenwood home for a songwriting session. “You knew, the minute you got there,” Paul relates, “cup of tea and you’d sit and write, so it was always good if you had a theme. I’d had a thought for a song and somehow it was to do with the Daily Mail so there might have been an article in the Mail that morning about people writing paperbacks. Penquin paperbacks was what I really thought of, the archetypal paperback”. I took a bit of paper out and I said it should be something like, ‘Dear Sir or Madam, as the case may be…’ and I proceeded to write it just like a letter in front of him, occasionally rhyming it. And John, as I recall, just sat there and said, ‘Oh, that’s it,’ ‘Uhuh,’ ‘Yeah.’ I remember him, his amused smile, saying, ‘Yes, that’s it, that’ll do.’ Quite a nice moment: ‘Hmm, I’ve done right! I’ve done well!’ And then we went upstairs and put the melody to it. John and I sat down and finished it all up, but it was tilted towards me, the original idea was mine. I had no music, but it’s just a little bluesy song, not a lot of melody”. McCartney had the basic idea for the song and, whilst the end result of Paperback Writer was a way away, it was clear the band had a hit and it was going to take their career to a new phase. 1966 was a great time for The Beatles and it was at a time when they were still writing together and there was harmony in the ranks. They would start to fray and argue by 1968/1969 but, understandably, there was this friendly competition between John Lennon and Paul McCartney when it came to penning their next big hit! I guess there is a bit of irony about this struggling writer trying to create himself a break when the song’s author was at the peak of his powers and seemed to have Paperback Writer firmly in his grasp. “Emerick continues, "Fortunately, as Paul and John turned to George Harrison and began showing him the chords to ‘Paperback Writer,’ inspiration struck. It occurred to me that since microphones are in fact simply loudspeakers wired in reverse…why not try using a loudspeaker as a microphone? Logically, it seemed that whatever can push bass signal out can also take it in – and that a large loudspeaker should be able to respond to low frequencies better than a small microphone. The more I thought about it, the more it made sense.” However, as other data indicates, this experiment was left off for the next day”. 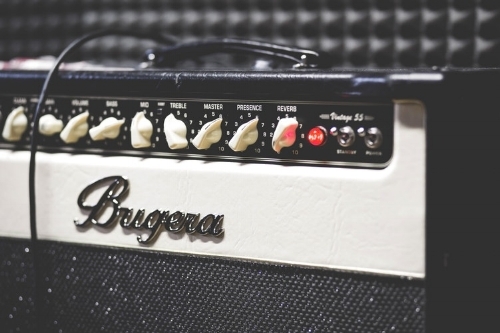 “Now was the appropriate time to experiment with creating the beefier bass guitar sound Paul asked for the previous day. “I broached my plan, gingerly, to Phil McDonald,” remembers Geoff Emerick, “His response was somewhat predictable: ‘You’re daft; you’ve completely gone around the twist.’ Ignoring him, I took a walk down the hall and talked it over with Ken Townsend, our maintenance engineer. He thought my idea had some merit. ‘Sounds plausible,’ he said. ‘Let’s wire a speaker up that way and try it”. “Over the next few hours, while the boys rehearsed with George Martin, Ken and I conducted a few experiments. To my delight, the idea of using a speaker as a microphone seemed to work pretty well. Even though it didn’t deliver a lot of signal and was kind of muffled, I was able to achieve a good bass sound by placing it up against the grille of a bass amplifier, speaker to speaker, and then routing the signal through a complicated setup of compressors and filters – including one huge experimental unit that I secretly borrowed from the office of Mr. Cook, the manager of the maintenance department”. “This stereo mix was made on October 31st, 1966 in the control room of EMI Studio One by the same team of Martin, Emerick and McDonald. They intended to mix this song along with “I Want To Hold Your Hand” and “She Loves You” in stereo for the first time but, since “Paperback Writer” took two hours to do, they left the other two for another day. “Unfortunately, the stereo mix…does the song no justice,” Emerick admits. “It’s completely disjointed, and it isn’t at all the balance that we intended. To me, the mono mix is much more exciting”. “The second harmony from John and George consist of the “paperback writer” phrase starting on the second measure when Paul sings the word “writer” and then those harmonies holding out the word “writer” from the third measure throughout the fourth measure (actually mistakenly stopping a little short each time the chorus is heard). The third harmony overdub consists of John and George layering on another falsetto “paperback writer” phrase that stretches out between the third and fourth measure. Although it’s hard to tell, Paul’s voice may very well have been included in these harmony overdubs. Nonetheless, much time and work was needed to put all this detail together”. Some have claimed the backing vocals are lazy and almost mocking but, in fact, the band were on the same page and liked the song. Paperback Writer would be weaker and barer without the backing and there is this almost childlike melody and singalong that propels this song of a writer who wants to make some big money. We go from the first verse about the plea to get his work read – this book being based “on a novel by a man named Leer” – and needing a job. The opening verse is the idea being pitched and this rather basic introduction. McCartney goes on to explain the premise of his grand work – about a “dirty man” whose son works for The Daily Mail – that seems to be rooted in reality. McCartney, as the man who writes for the newspaper (a steady and okay job) and wants to step into a more serious and prosperous realm is imploring and asking for some luck. Although you have this passion and optimism by the middle of the song; things start to become a little more defeatist as McCartney accepts that his manuscript might be returned – he even says he can make it shorter or longer and change the style around if the publishers are not keen! Our hero knows he can make a million overnight and just needs that break. “Paul again is center stage, understandably because of this being primarily his creation. His top-notch vocals, bass and lead guitar is extremely fitting for the occasion, Paul knowing full well how to continue the aura and allure of the group on the radio airwaves. John’s songwriting inventiveness of the period, as incredible as it was, was somewhat less commercial due to his infatuation with his chemical mind-expanding activities of the time”. “Capitol Records couldn’t wait until June 10th, 1966 to release the latest Beatles single as Britain did, so they rushed it out eleven days earlier on May 30th of that year. While “Paperback Writer” was the least selling Beatles single in their home country since 1962’s “Love Me Do,” it became a million seller in the US and, according to “The Billboard Book Of Number One Hits,” the single “made the second largest leap to number one of the rock era. It debuted on the Hot 100 at number 28 during the week of June 11th, 1966, moved to 15 and then broad-jumped to number one on June 25th, becoming The Beatles’ 12th chart-topper in America”. The group promoted the single with cover art that saw them draped with joints of meat and baby dolls being there. It was a misjudged and peculiar approach to artwork and, quite rightly, was not approved and taken to heart when it was released. The original image is still available but other covers were used because the rather upsetting composition did not sit well with many fans, critics and parents. “Revolver would be the full flowering of the Beatles’ next phase; but first, there was “Paperback Writer,” the cheeky tease of a song that cajoled you away from the world of Rubber Soul, and into a new galaxy. It was a bridge between their simpler and more accessible work and something more ambitious and experimental. A few months after Paperback Writer was released, Revolver was unleashed into the world (5th August, 1966). “There’s a lot going on here, and yet, it all blends perfectly. With “Paperback Writer,” the Beatles almost seemed to beckon the listener out of the galaxy. Or at least beyond anything quotidian. It was time to start looking way up. And they even had the sense to put the invite in epistolary form for you”. THE majestic and monumental Paperback Writer!